I am just back from spending a long weekend in London, and it was brilliant! I wore some lovely new outfits, so expect some outfit posts coming up over the next few days. On my actual birthday I headed into Soho to a new eating place there called Bunny Chow. The actual venue isn't open yet, but they're doing some sneak previews and trials and invited me down to sample their goods with Lucia from U Can't Wear That and boy, I am glad that I went! Bunny Chow is a type of food that takes its inspiration from South Africa. They have a range of food items on their menu, which are served in a bread roll - YUM! I went for the haddock in a white sauce choice and it was delicious... not only is the food nice, but you get to eat your bowl afterwards so no washing up for anyone - WOOP! 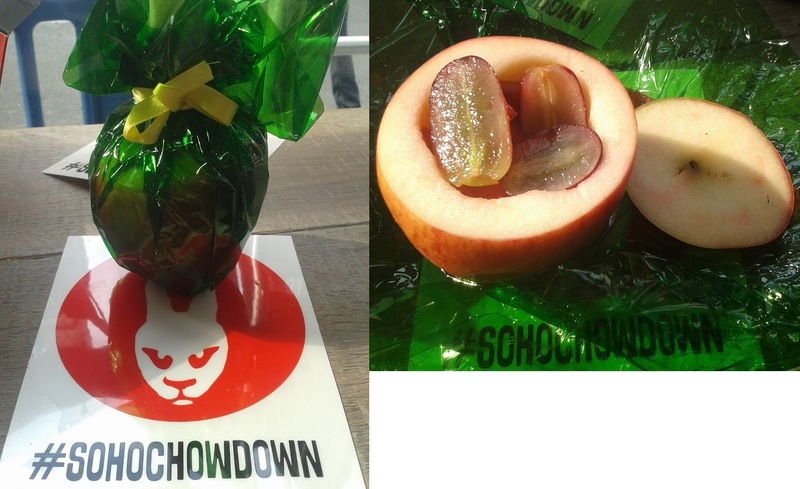 They do desserts of fruit salads inside an apple too, genius! A few days before I left for London ASOS announced a flash sale of 20% off full price items and I for one can't resist a bargain. 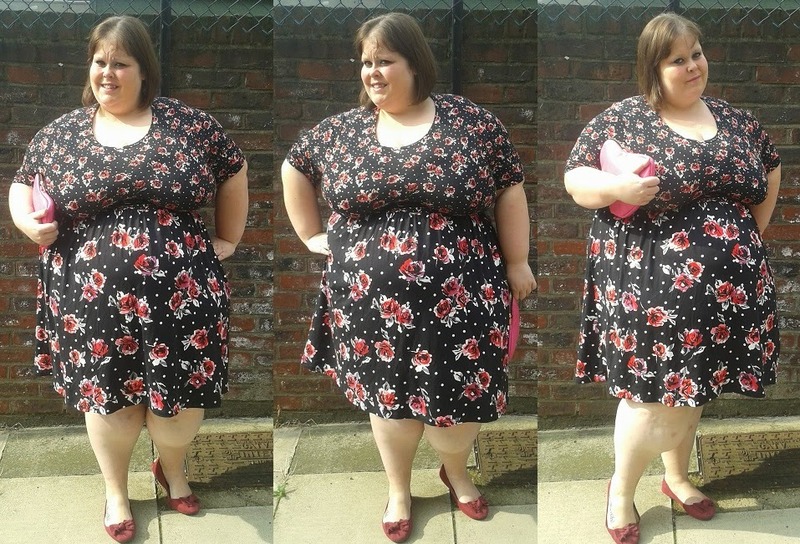 I went for this mixed floral printer skater dress which was just £20 and I am so glad that I did. 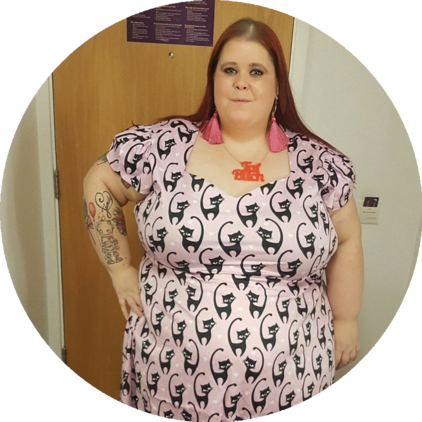 The skater dress is a lovely fit and the perfect length for me (it would be great for taller people too as I wear the waist of the dress quite high). I love the idea of the two different patterns and the sleeves are a great length too! The Tuesday in London was a lovely sunny day and it was amazing to feel a bit of sunshine for once! 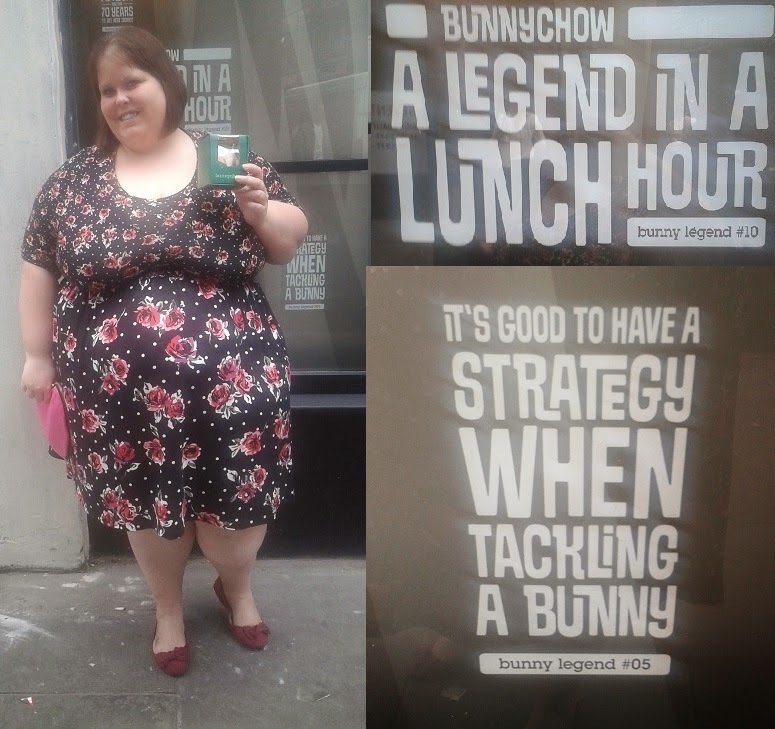 Me outside Bunny Chow with a lovely lemon muffin they sent me home with - YUM! Have you bought from ASOS lately? What bargain did you snap up?